Equi-Heart Pledge: Commanding Your Power with the Help of Horse: Part 1 Manifesting Magic! 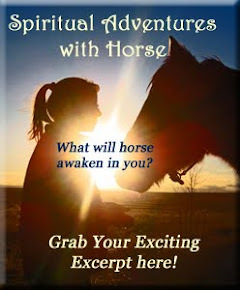 Commanding Your Power with the Help of Horse: Part 1 Manifesting Magic! The 2014 Healing with Horse Symposium in May created a magical cauldron of manifesting miracles! 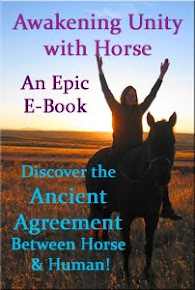 Meet new friend and Master Wizard Healer in a Horse Body, Bella Mesa, as she shares an eye-opening opportunity. Discover how to create even more magnificently with your Power by COMMANDING the entire universe of possibilities through your body! Allow her story of synchronicity to inspire YOU to open up to manifesting whatever you need in this coming moment as well! Stay tuned for Part 2: A Power Exercise on Horse Back! Mark your calendar for the 2015 Healing with Horse Symposium, May 15-17th, Colorado to make your own magic! How will you play with Commanding Your Power??? With horses or in your life? Please share by leaving a comment below.